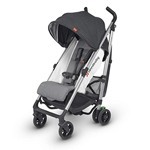 The unique design and novel features of the new Cybex Eezy S Twist set it apart from many other strollers available on the market. 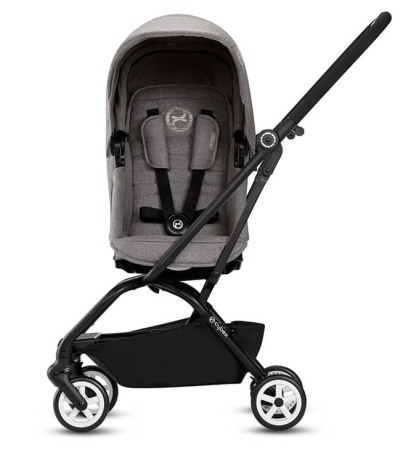 It’s possibly one of the best lightweight strollers I’ve seen. 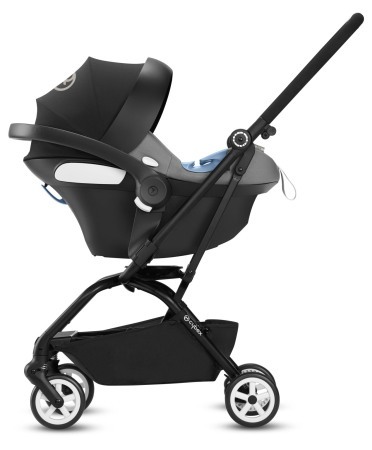 The Cybex Eezy S Twist may be a great choice for parents who travel a lot. 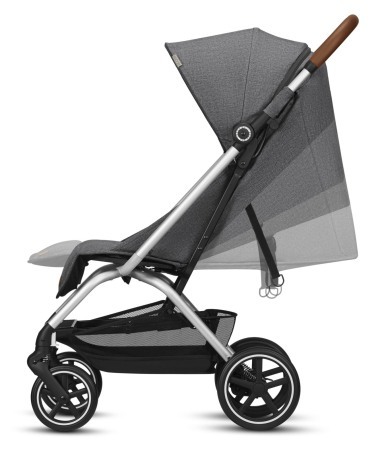 It is lightweight, compact and easy to operate – and that’s what every parent needs to have an awesome outdoor experience while strolling. I have taken the time to make a detailed review of the Cybex Eezy S Twist below, so you can see if it will fit you. 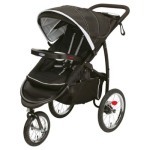 Lightweight stroller 17 lbs Cybex Eezy S Twist is lightweight and easy to carry. 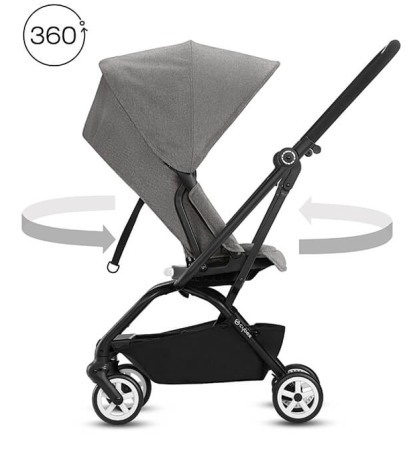 Seat can revolve 360 degrees while being attached to the stroller’s frame. It also comes with the all-wheel suspension feature. 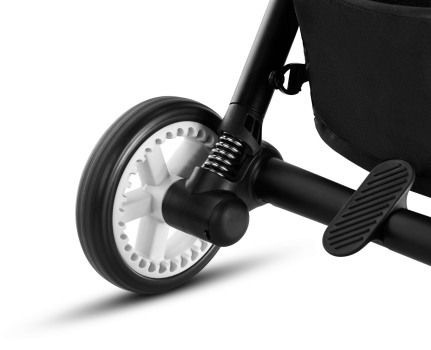 The revolving seat of this stroller is an innovative feature that inspired its name. 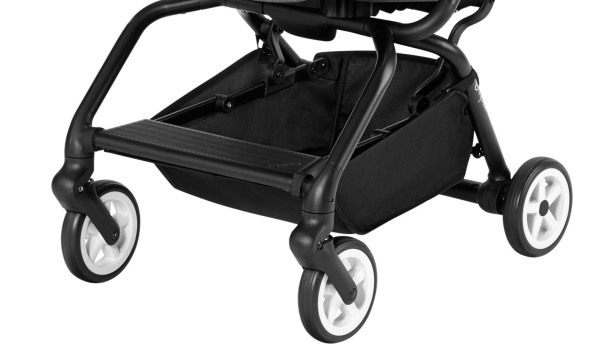 The seat can revolve 360 degrees while being attached to the stroller’s frame. 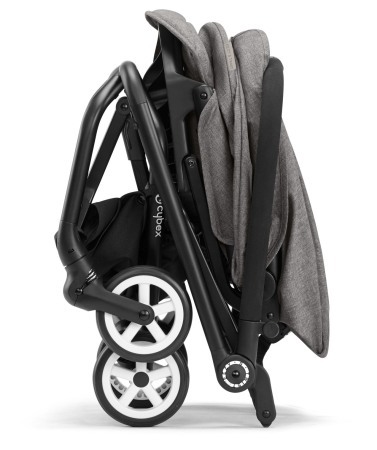 The Cybex Eezy S Twist is designed to be flexible such that other accessories like a carrycot or car seat can be attached to the stroller easily. High level of adaptability makes it a multi-purpose stroller that is perfect for infants as well as toddlers. The Cybex Eezy S Twist is lightweight and has a revolving seat which makes it able to face forward or revolve and face the parent without lifting the seat from the frame. It’s easy to change the seat configuration with one hand. This feature is will be especially appreciated by those moms, who can’t lift heavy things like those, who went through a caesarean session during childbirth. There is no need for the hassles of lifting seats, you just adjsust the level and you can rotate the seat anyway you want, both while the canopy is open or closed. This sets apart the Cybex from most of the strollers that don’t have such a feature. The few that do have use a tedious processed that gets the parent stressed out just to activate it. This stroller really makes the life of the parents comfortable with its innovative and easy to use rotating elements. 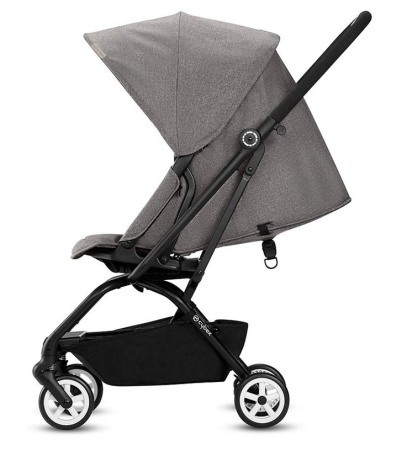 The 5-points harnessing and the excellent padding are the next things that make this stroller stand out. The fabric pads are nice, but still could use some improvement, the crotch strap could have a cover as well. 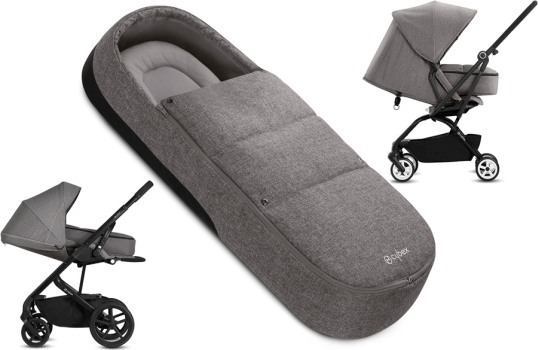 The multi-position recline that provides comfort for napping is another feature that makes this stroller awesome. The lowest position is almost flat which is perfect for infants. The recline feature makes use of a strap at that back which has a buckle. It’s easy adjust the recline with one hand if you need to lower the seat, but raising it will require using both hands. The Cybex Eezy S Twist comes with a footrest, but it is not adjustable and is only functional when the seat is facing the parent. The seat is robust enough to carry a child that weighs up to 55 pounds. Such carriage capacity is impressive given the light weight and the compact size of the stroller. The two-panel canopy with a sun visor made with a UV 50+ material protects your kid from sun exposure. Although this hood shade has ample space, I would have preferred it to be a little lower instead. A peek-a-boo window would also be something I’d like to see here. Although the canopy is useful, it needs some improvement to make it great. Consider a scenario when you are traveling or have some tasks to accomplish within the city. 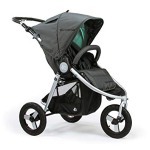 Won’t you prefer to use a stroller that you can control easily and maneuver through the crowd and around the curves? The Cybex Eezy S Twist gives you an extensive control. The front pivoting wheels make it swift and easy to operate, and the slim footprints make it convenient to use in tight corners and narrow shopping passageways. 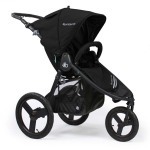 Interested in purchasing Cybex Eezy S Twist? Check how much it costs on Amazon and see if there are any discounts available. Just bear in mind that the small wheels make it suitable rather for a flat surface and for the indoor environment such as shopping malls and airports. 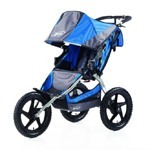 However, with the all-wheel suspension feature, the stroller is able to handle uneven sidewalks and cracked pavements, it can even navigate through hard-packed gravel trails and cobblestones floors. Although the ride at such places won’t be perfect, the shake will not be strong enough to affect the comfort of your child. The suspension that is built into the wheels which absorb shock in uneven terrain provides a comfortable ride, while you’re handling various tasks within the city, going on shopping or walking through an uneven pavement in the cool of the evening. 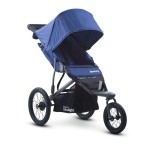 The Twist stroller has a single brake which is the trending design for modern lightweight strollers. While the pedals are located in the center of the rear axle, it’s not really the most convenient to use, but overall does it job. Although the storage basket is not the biggest in the market, it does have enough space to fit necessities such snacks, water or even a diaper bag. Moreover, the bin is easily accessible from each side of the stroller. Parents should bear in mind that in spite of its extensive flexibility, this stroller is not suitable from day one, since the newborns need a flat position that supports the feeble spine neck, and head. You need to get some additional accessories if you want to use it with a newborn. The Cybex Eezy S Twist gives you the possibility of attaching a cocoon. Although it is not a classic bassinet, the Cocoon provides better support for newborn to provide a good position of the head and spine. One of the best features I love about the Cocoon is the summer and winter cover fittings that keeps your child comfortable in different weather conditions. If you are using the Cocoon, it’s good to use the harness as it will help keep your infant in a secured position. 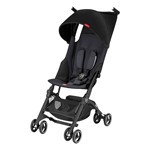 The Cybex Eezy S Twist may be easily converted to a travel system as it is compatible with GB and Cybex baby car seats. 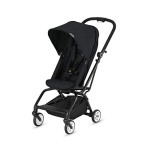 The fact that the car seat is attached to the frame and not to the seat enables the stroller to remain lightweight even when it is converted to a travel system. 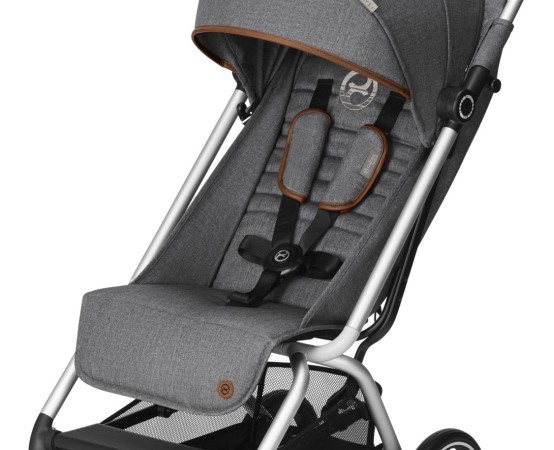 All you need is to remove the standard seat and use the baby car seat adapter to attach it and there you go – you’ve just assembled a lightweight travel system. The Cybex Eezy S Twist is really lightweight. I really like it, considering the fact that it’s so swift and easy to control. It has a compact size, and the total weight is 17 pounds. The one-hand easy folding feature of the Cybex Eezy S Twist is an excellent feature you will love. You can fold it easily irrespective of the position of the seat. You can fit the folded Twist stroller into a small car trunk easily because it takes very little space. It is perfect for parents with a small car or little free space at home. Another impressive feature is the fact that the Cybex Eezy S Twist can fit perfectly into the overhead compartment on most airplanes. It complies with most airlines regulations regarding the size. 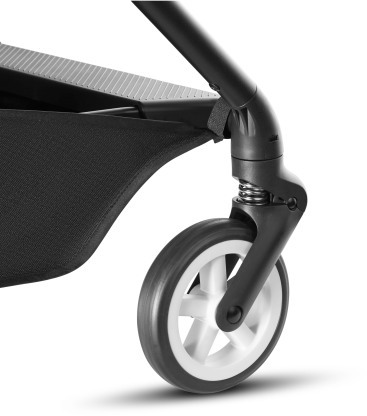 There is a lock feature so your stroller wouldn’t open up, when you fold it for storage or during transportation. It also has a convenient handle and a self-stand so it won’t be a problem to carry it around. The Cybex Eezy S Twist is designed for parents that live in the urban areas and for those that need to travel with their child often. 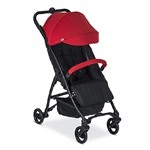 The Cybex Eezy S Twist is available in five different colors. These colors are Fancy Pink, Tropical Blue, Manhattan Grey, Denim Blue and Lavastone Black. It is likely that each color version carries a slightly different price tag. So, you should take a close look before making a choice.